A very warm welcome back! 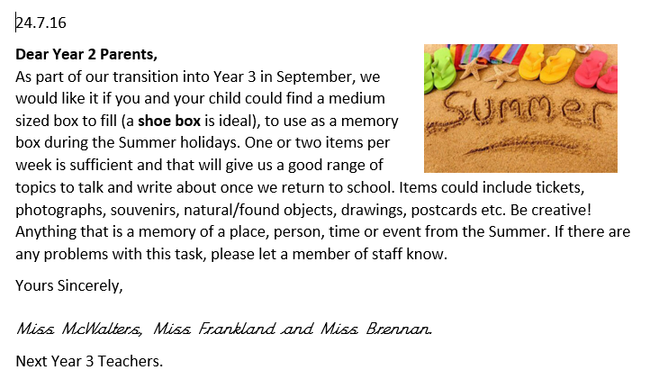 We hope you have all had a wonderful summer and had lots of fun. We are all very excited to be back and ready for a fantastic term ahead. We are amazed by how well the children have settled in already to year 3 and how grown up they all are. They are really impressing us every day. What a fantastic start to the year! This term, Miss McWalters will teach on a Monday, Tuesday and Wednesday morning with Mrs Harrington. Then, Miss Frankland will teach on a Wednesday afternoon onwards with Mrs Preston. Our Learning Journey is called the 'Groovy Greeks' and we are all really excited about it already. Please find out more about what we will be doing below.